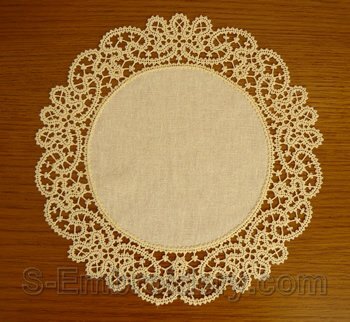 A free standing lace machine embroidery design in Battenberg lace technique that, in combination with suitable fabric (e.g. 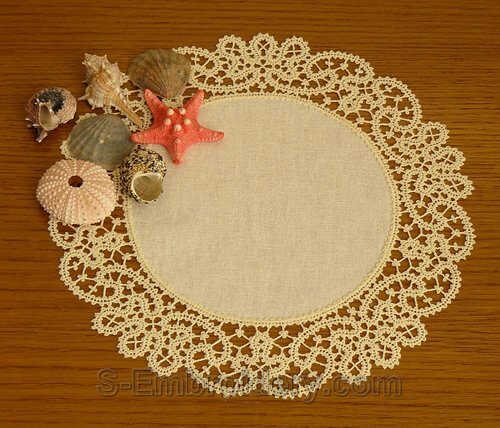 linen) will produce a delicate round doily with a diameter of around 9.5 inches (24 cm). 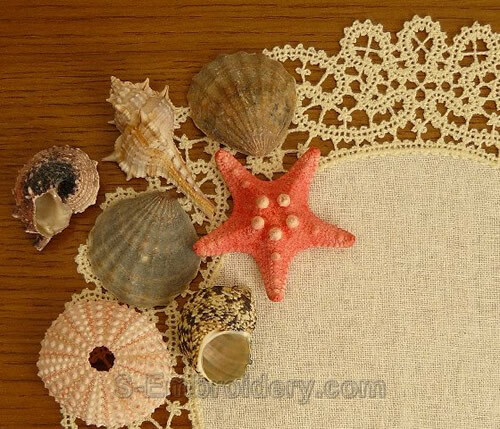 The design comes with instructions for creating a freestanding lace doily.